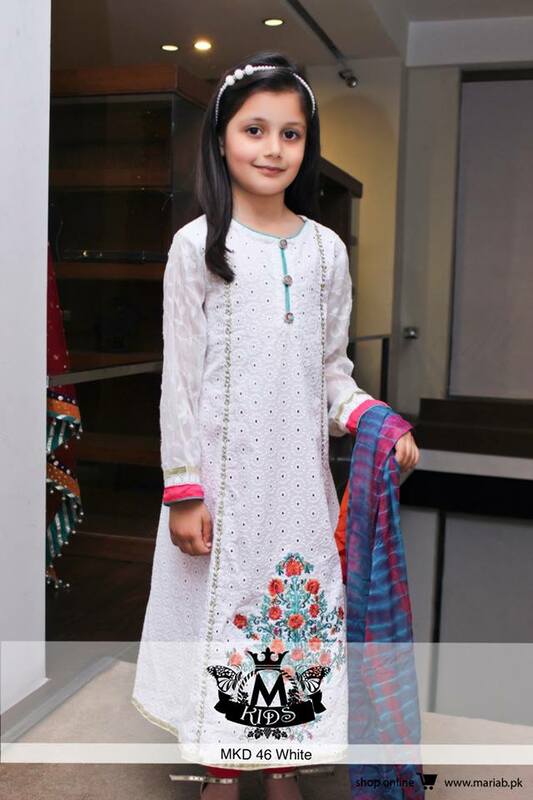 In this age of fashion, not only ladies and men are moving towards fashion but kids these days are also so stylish and have know how of fashion. They also want to look perfect on the events and casually. 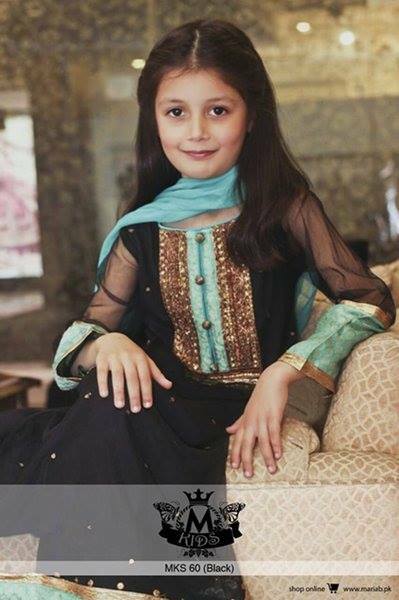 Obviously those tiny beauties need to maintain style to look even more cutie pie. 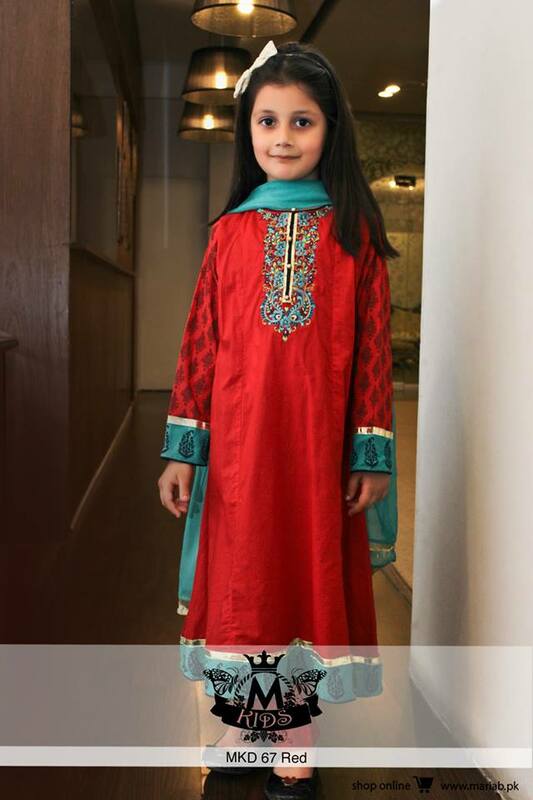 Especially mostly, we see that little girls are so conscious of their dresses, matching shoes, jewelry accessories, and hairstyles. Tomorrow they are the ones who are going to grow in beautiful young girls. 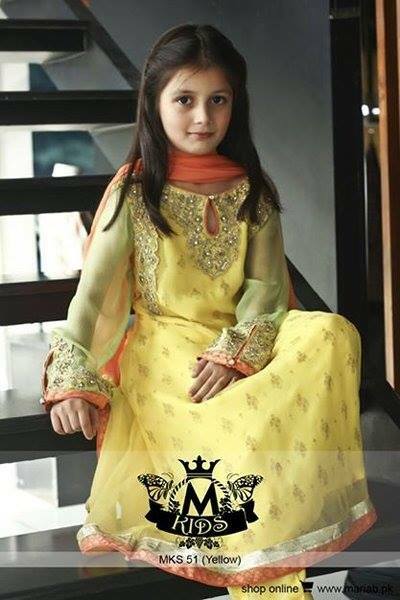 At events like Eid, wedding, and other festivals little kids look so pretty when they wear the dresses fulfilling the meaning of the event. 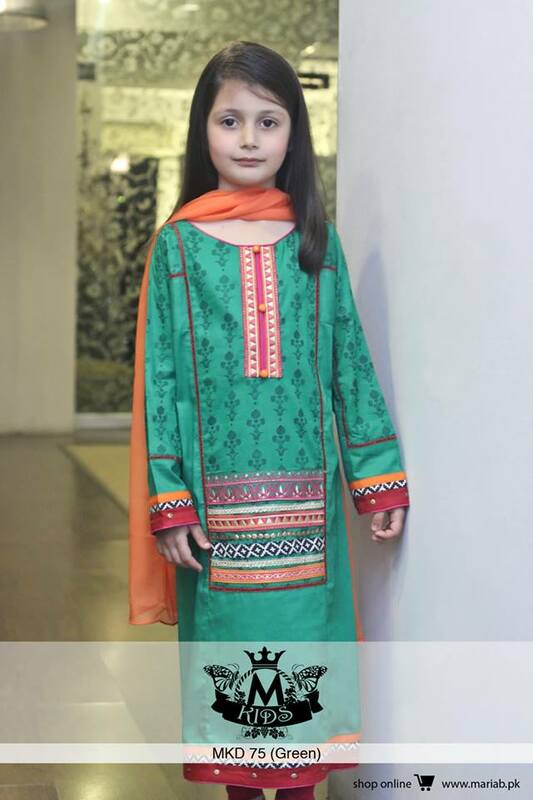 As we Eastern prefer to keep our traditions alive along with maintaining sophistication, so designers where working for young and old people are also not neglecting little angels. 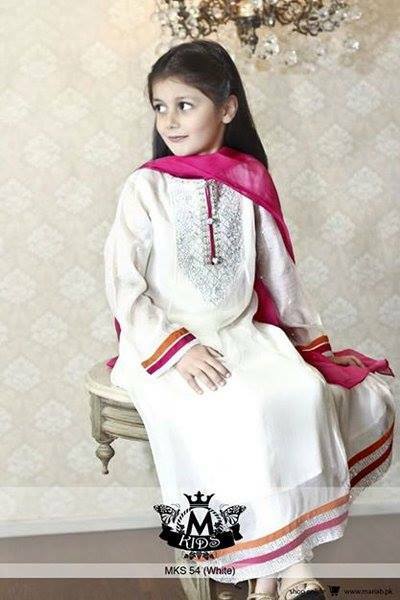 Maria B, a name that soothes my fashion worries, not mine but everyone’s I guess has launched her amazing collection very specially designed for little kiddies. The stylish and gorgeous Maria B has always presented something so far in sophistication. 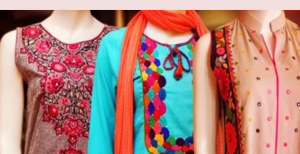 The unique and creative designs showing the true devotion and hard work of the designer has always won the hearts of customers. 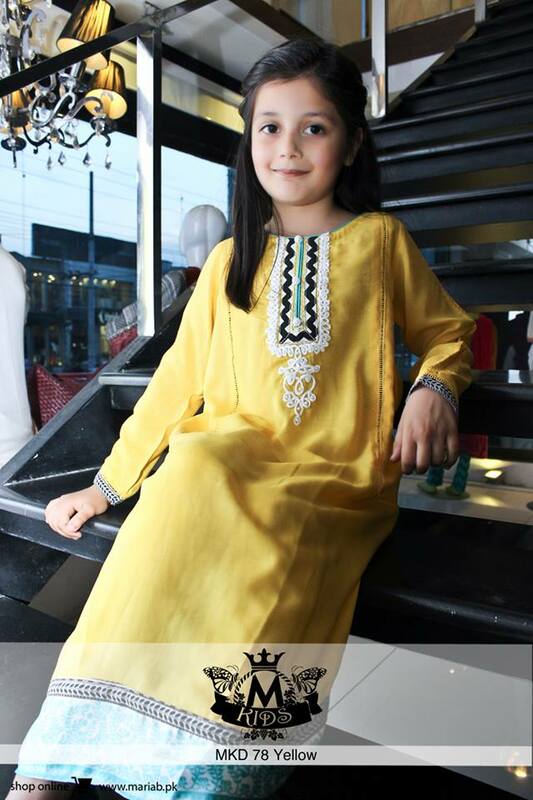 It is considered as one of the top 10 brands of Pakistan that is gaining fame at International levels. 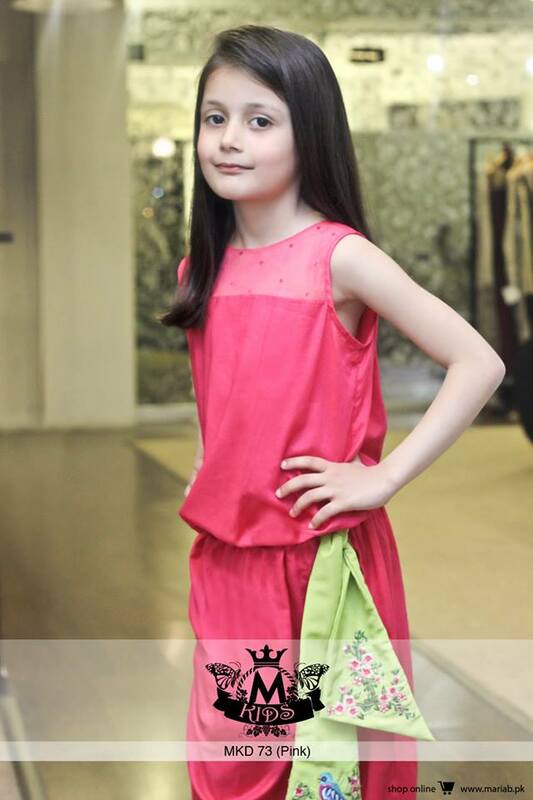 The popularity of Maria B can be seen in ramp walks, couture weeks and other fashion shows at International levels. Popular models feel pride in presenting Maria B wears. 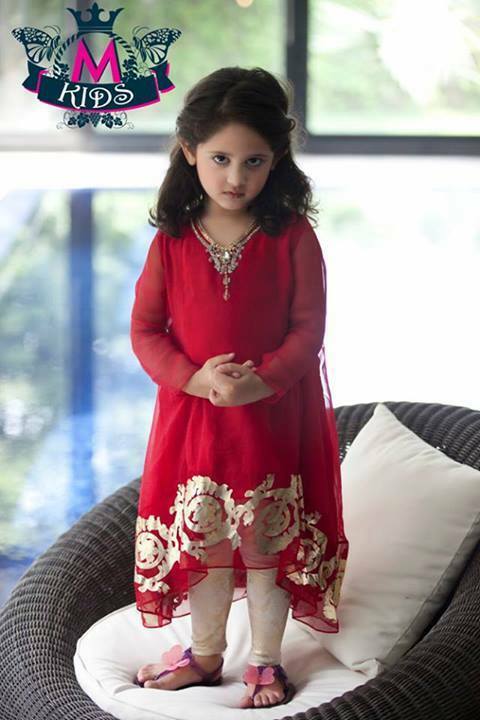 The gorgeous designer has provided with kids collection stylish just like elders but full of innocence and style. 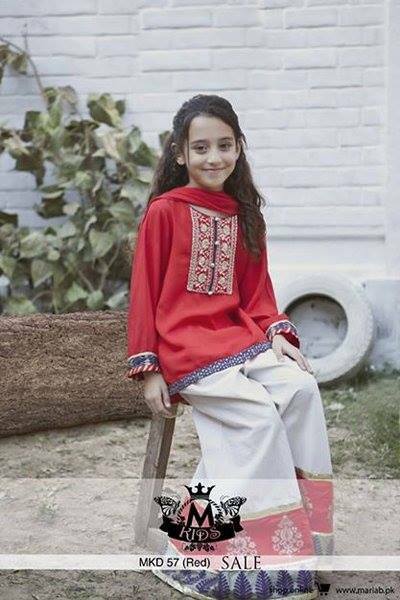 Each and every dress in this collection is embroidered with attractive use of embroideries & prints both. 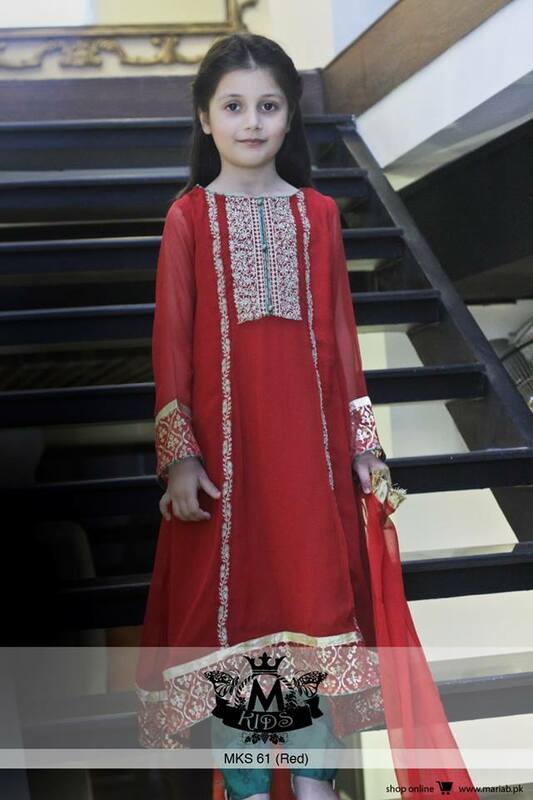 Jumpsuits with jackets, kurta trousers and another sort of dresses are included in this collection. 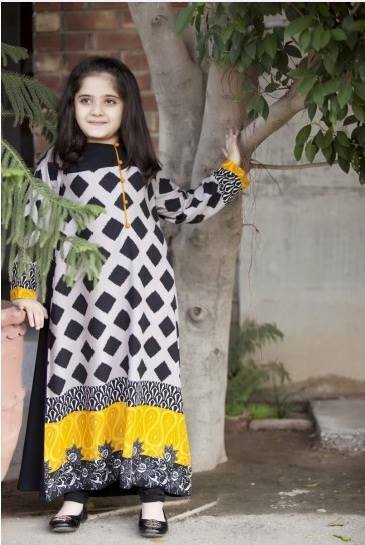 The use of color is also keenly kept in mind according to kids wear like black, white, blue, red, pink, yellow, maroon, royal blue, golden etc. 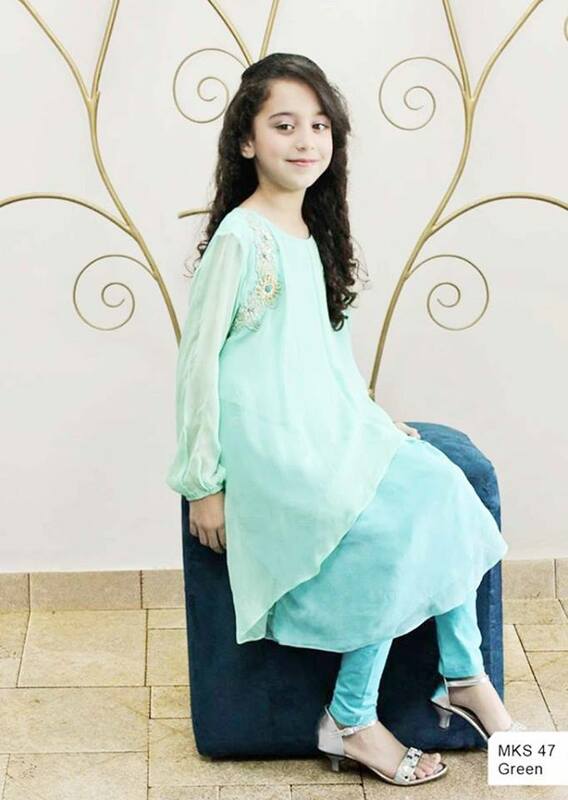 Chances are one might be thinking that these dresses are old for kids but no, when you will look at these dresses you will know that how suitable and perfect are these for fashion lover kids and you will love them at first glance. 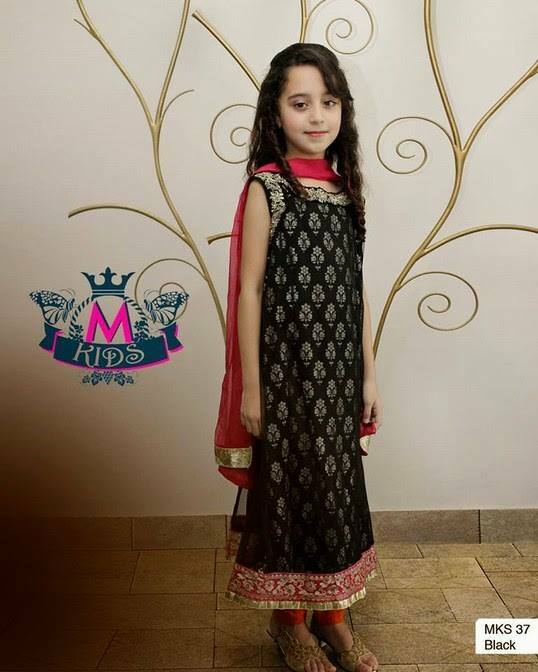 Price ranges are quite expensive as Maria B never settles for less.They are perfect to wear for little school going girls at formal functions, events, festivals or at casual routines as well. 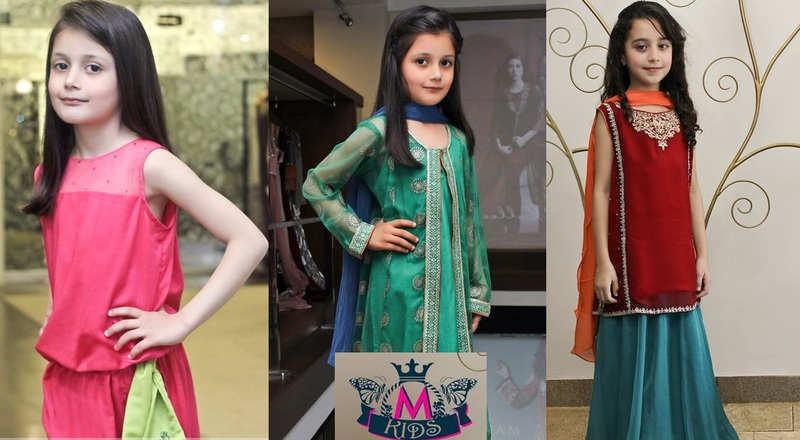 These dresses are available at outlets of Maria B across the country. 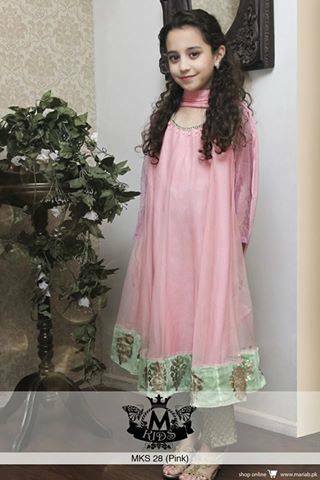 You can aslo buy it online through the official site ww.mariab.pk. 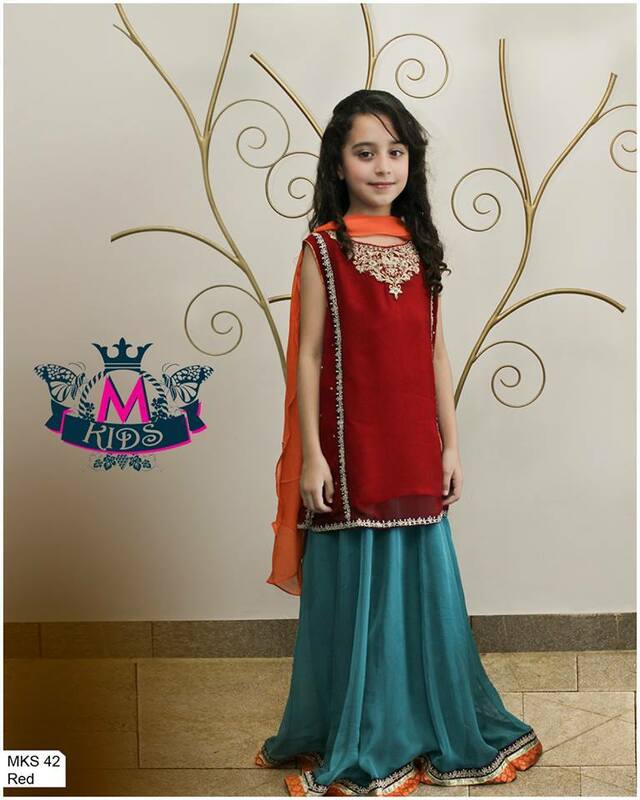 Furthermore have a look at these pretty dresses in the image gallery posted below and get inspired by the latest designs!